The Cable News Network (CNN) is an American basic cable and satellite television channel that is owned by the Turner Broadcasting System division of Time Warner. The 24-hour cable news channel was founded in 1980 by American media proprietor Ted Turner. 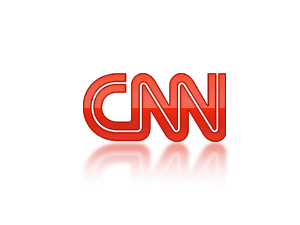 Upon its launch, CNN was the first television channel to provide 24-hour news coverage, and was the first all-news television channel in the United States. While the news channel has numerous affiliates, CNN primarily broadcasts from the Time Warner Center in New York City, and studios in Washington, D.C. and Los Angeles, its headquarters at the CNN Center in Atlanta is only used for weekend programming. CNN is sometimes referred to as CNN/U.S. to distinguish the American channel from its international sister network, CNN International. As of August 2010, CNN is available in over 100 million U.S. households. Broadcast coverage of the U.S. channel extends to over 890,000 American hotel rooms, as well as carriage on cable and satellite providers throughout Canada. Globally, CNN programming airs through CNN International, which can be seen by viewers in over 212 countries and territories. As of February 2015, CNN is available to approximately 96,289,000 cable, satellite, and telco television households (82.7% of households with at least one television set) in the United States.